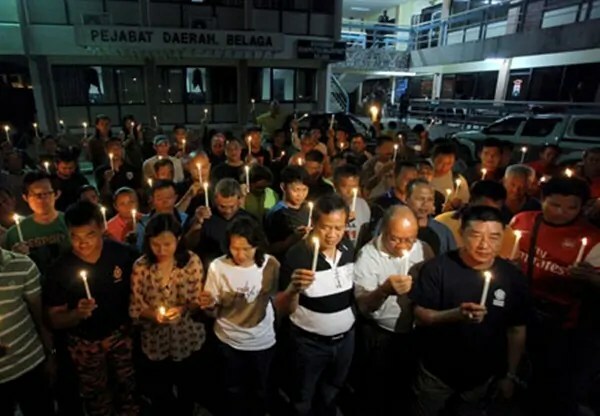 For two days the Sarawak boat tragedy that claimed 12 lives hogged the headlines – but it was later relegated to routine news. Isn’t that a reflection of how cheaply Sarawakian lives are rated. wonders Rani Rasiah. Some points to consider. On Tuesday, 28 May 2013, an express boat filled to overflowing with passengers returning home for Gawai hit a boulder on the Balui River and capsized. The boat was meant for a passenger load of 67, but on that fateful morning, the Kawan Mas ferried three times as many, despite the route being a treacherous one, filled with stretches of rapids and driftwood. We are told that currently there is only one express boat plying the route in question between the Bakun area and Kapit. On the morning of the tragedy, search-and-rescue operations for survivors could not be carried out in full force because the nearest town of Belaga does not have the equipment or personnel to deal with emergencies. Belaga doesn’t even have a fire station, we are informed! Reminder: The Balui River and Belaga district are part of Malaysia! They are in Sarawak, which is a vote bank of the Barisan Nasional. In fact, the people of Sarawak saved the BN from sinking in the 13th General Elections less than a month ago on 5 May 2013. Such is the debt of gratitude the BN owes the people of Sarawak. Yet less than a month after the elections, the people have lost loved ones, and continue to face the risk of losing more lives, because the BN government failed to provide basic infrastructure to the people. The BN government has failed to use the abundant resources of the state to provide infrastructure. For the BN, infrastructure development has been linked not to the people but to projects such as dams and aluminum smelting plants. It has failed to evenly distribute the wealth of the state and has instead concentrated it in the hands of the Chief Minister and his cronies, whose obscenely rich lifestyles stand in stark contrast to the backwardness and deprivation endured by the people. The responses of the government are feeble and disgraceful. The Chief Minister gently chided the boat operators for being “too kind and obliging”. Incredible, but that is what he had to say about the business of risking the lives of people by dangerously overloading the boats. He had nothing to say about the screaming need for alternative transport means, like roads, for the people living in the interior. He takes no responsibility for the tragedy, and offers no plans on what he is going to do to stop such a tragedy from recurring. From his reaction, one can conclude that things will go back to usual once the initial excitement is over. After all, the very next day, exactly the same scene was said to have presented itself at the Kapit jetty, with equally large crowds trying to get home for the Dayak Gawai harvest festival.What can people do? As someone from Kapit said, “If we do not go by boat, how can we get back? Like others, I have no choice…” How much louder can that be said? Official criticism is limited to non-compliance with safety regulations and lax enforcement. If we take this official line to its logical conclusion, the workers wanting to return home should be advised to stay back and miss the Gawai. But the hypocrites in power will not dare to say it. They are confining themselves to the need to observe “passenger capacity” and take “safety measures”. The repeated and unfailing support of the people of Sarawak for the BN unfortunately has not resulted in improving their socio-economic status. Many areas have remained ‘interior’ despite a wealthy economy and unbroken BN rule. The plunder of state wealth has made the Chief Minister its undisputed richest man whilst rendering the people the poorest. Some change to this state of affairs could have been possible if the BN had not won or not won so comfortably in Sarawak. To a government that seems to have taken its support so much for granted, and that continues to ride roughshod over its people, such a strong warning is necessary. That is not to say that if the PR had won, it would do a great job. But the good it will do is show that people are the boss, that they have the power to unseat you if you oppress them. Rani Rasiah is an Aliran member based in Sungai Siput. She is also coordinator of the Oppressed People’s Network (Jerit). Steven Sim reminds new Minister for Women, Family and Community Development Rohani Abdul Karim that a lot of hope is placed on her to improve the lives not only of Penans but also of Malaysian women in general. Today I saw a news report on how the government has yet to address the problems faced by our Penan brothers and sisters in Sarawak even after the publication of a report by the national taskforce four years ago highlighting their plight. The Penan women especially are still waiting for federal government intervention on issues ranging from sexual abuses to basic amenities to citizenship. They visited Kuala Lumpur this week to seek help from the newly minted Minister for Women, Family and Community Development, Rohani Abdul Karim. The Minister should realise that a lot of hope is placed on her to improve the lives not only of Penans but also of Malaysian women in general. 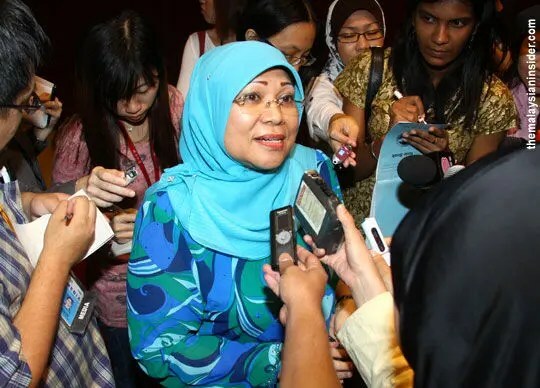 The last three Ministers holding the post, namely Ng Yen Yen, Shahrizat Abdul Jalil and Prime Minister Najib Razak, have all failed to address important issues pertaining to women and family development. Failure to implement gender-responsive budgeting at all levels of the federal government even though the pilot project was completed in 2003. I would like to assure the Minister that if chauvinist MPs from her side refuse to cooperate with her to pursue these agendas, we in Pakatan Rakyat will back her up. Finally, I hope you will help to give publicity to these important agendas. Forward this or share this on Facebook. Better still, email your Members of Parliament, regardless of party, to urge them to support the issue in Parliament. Steven Sim is the Member of Parliament for Bukit Mertajam. Originally published in the Sunday Star, Roger Tan calls for justice in the case of the most infamous land rob in recent history. This is a heartrending story, a story about an incessant quest for justice by three generations of a Thai family. It all happened on Dec 12, 1956 when a Thai of Chinese origin, Sie Guan Tjang @ Sie Hang Bok, purchased two pieces of land for investment – Lots 3606 and 3607 of Mukim 18 at Tanjung Bungah, Penang (“the said lands”). During his lifetime, Sie visited Penang very often with his Thai wife, Boonsom Boonyanit, also known as Sun Yok Eng. They loved Penang and her people so much that they had intended to build their retirement home on the said lands. On Jan 18, 1967, the two lots of land were transferred to Boonsom by way of a memorandum of transfer (“Form 14A”). Under section 81(3) of the National Land Code (Penang and Malacca Titles) Act 1963 (Act 518), Form 14A was then treated more or less as proof of ownership over the said lands. Section 92 of Act 518 also provides that pending the issuance of a final title, an advance certificate of title (“ACT”) would be issued. Since Jan 18, 1967, Boonsom had been at all times in possession of the Form 14A apart from faithfully paying all the quit rents and assessments due on the said lands. Some time in June 1989, Boonsom’s eldest son, Phiensak Sosothikul, chanced upon an advertisement in a Thai newspaper, Thairat, dated June 11, 1989, which was inserted by a law firm from Penang, Messrs Khor, Ong & Co (“KOC”). The advertisement requested that any person who had any right to the said lands or any heir to Boonsom residing at a house No. 87, Cantonment Road, Penang, Malaysia to contact KOC. The court was later told that when Boonsom’s accountant did contact KOC, the latter could not give any useful information. Boonsom then engaged the law firm, Messrs Lim Kean Siew & Co (“LKSC”) to conduct investigations which revealed that the said lands had been fraudulently transferred by an impostor claiming to be Boonsom to Adorna Properties Sdn Bhd, then known as Calget Sdn Bhd (“Adorna”) on May 24, 1989. Boonsom then sued for the return of the said lands. The Penang High Court ruled in favour of Adorna on April 28, 1995. On appeal, the Court of Appeal in its judgment dated March 17, 1997 reversed the High Court’s decision. Adorna then appealed, and the Federal Court comprising Eusoff Chin, Wan Adnan Ismail and Abu Mansor Ali allowed Adorna’s appeal in its judgment dated Dec 13, 2000 and pronounced in open court on Dec 22, 2000 (“Adorna Judgment”). Sadly, Boonsom had already passed away on May 23, 2000. Boonsom’s second son, Kobchai Sosothikul, being the representative of her estate, soldiered on and filed two separate motions to the Federal Court for review of the Adorna Judgment. In the first attempt, Kobchai argued that when the Adorna Judgment was delivered, Eusoff Chin had already retired on Dec 19, 2000. Steve Shim, Haidar bin Mohd Noor and Mokhtar Abdullah dismissed this application in its judgment dated Feb 26, 2001. In the second attempt, the Federal Court comprising P.S. Gill, Rahmah Hussein and Richard Malanjun ruled on Aug 27, 2004 that the Adorna Judgment was not patently wrong to have resulted in grave injustice. On March 15, 2005, Kobchai sued the Penang land office for negligence and breach of statutory duty. On Jan 10, 2011, Judicial Commissioner Vazeer Alam Mydin held that the Penang land office was indeed negligent and in breach of statutory duty, but unfortunately the action had to be dismissed because it was time-barred as it was filed 36 months late under the Public Authorities Protection Act 1948. Interestingly, a strong five-member bench of the Federal Court had finally decided on Jan 21, 2010 in Tan Yin Hong v Tan Sian Sang to reverse the Adorna Judgment as the error committed in the Adorna Judgment was, in the words of the then Chief Justice, Tun Zaki Tun Azmi, “so obvious and blatant”. But it came too late for the Boonsoms. In fact, my committee and I had also held discussion with two successive Ministers of Natural Resources and Environment, Datuk Seri Azmi bin Khalid and Datuk Douglas Uggah Embas, on July 24, 2007 and Nov 6, 2008 respectively and later with the Attorney-General, Tan Sri Abdul Gani Patail with the view of amending section 340 of the National Land Code, 1965 to legislatively reverse the Adorna Judgment. But it now appears that the decision in Tan Ying Hong has rendered the proposed amendments unnecessary. Sadly, there is no way the Boonsoms can ever recover the said lands. On Oct 7, 2004, Adorna sold the said lands to Diamaward (M) Sdn Bhd, a subsidiary of Hunza Properties Berhad, for RM13,220,000. Today, what is on the said lands is the Infinity Beachfront Condominium. Strata titles have been issued to the individual parcel owners. In fact, in his judgment, Vazeer made a very strong observation: “In the beginning, I alluded to the fact that this is the sequel to a sad saga, which is now part of the annals of the nation’s legal history. The helplessness of the plaintiff in the face of the fraud perpetrated leading to the loss of the said lands is very evident. Two police reports were lodged – on July 12, 1989 by lawyer Ooi Chooi Li from LKSC and on July 22, 2002 by Kobchai but there has not been a whisper from the police since 1989, especially its Commercial Crimes Department. The impostor made the first statutory declaration on June 18, 1988 claiming that she, Sun Yok Eng @ Boonsom Boonyanit had lost the Form 14A. She made the second statutory declaration on April 6, 1989 claiming that Mrs Boonsoom Boonyanit (the impostor) and Sun Yok Eng @ Boonsom Boonyanit were the same person, even though with a different Thai passport number. A day later, the impostor signed the memorandum of transfer (“MOT”) in favour of Adorna, not before her lawyer from KOC, but in the presence of Arifin bin Awang, then an Assistant District Land Administrator of Bukit Mertajam. Arifin (now a Datuk) is now the Director of Land and Mines of Penang but he was never called as a witness in any court proceeding. The MOT also revealed when the said lands were transferred to Adorna, final title for Lot 3606 held under Grant (First Grade) Registration No. 28476 had also been issued. All this took place in just a matter of months! In fact, Vazeer held in his judgment that by not calling Arifin to testify in court, an adverse inference could be drawn under section 114(g) of the Evidence Act 1950. According to Lim Chan Hwa of CA Lim & GE Tan Sdn Bhd, valuers and estate agents, he was first asked by one Fong Wa Tan, a director of Adorna, to do a valuation of the said lands some time in July 1988. (But Fong testified that he was first approached by Lim in late October 1988 regarding the said lands.) Lim also testified in court that he was also first asked by one Victor Joseph Dass of Messrs Victor Real Estate Agency to look for a purchaser for the said lands. The sale option by the impostor was dated Nov 13, 1988 and this was given to Lim’s company through KOC under cover of their latter dated Nov 11, 1988. In this letter, it also referred to two ACTs. This means ACTs for the said lands had even been issued before the sale and purchase agreement was signed on Dec 15, 1988 (SPA). In the SPA, the impostor was represented by KOC. The impostor put her address in the SPA as under the care of one Saifi bin Daud of No. 8, Taman Fauziah, Jalan Satu, 01000 Kangar, Perlis. Her signature was attested by lawyer Khor Kheng Loon from KOC. But Victor and Khor were not called as witnesses in any court proceeding. According to Cheong Wai Meng, lawyer who acted for Adorna in the sale and purchase, the purchase price of RM1,865,798 was fully paid to KOC on April 17, 1989. The advertisement in the Thai newspaper was dated on June 11, 1989. The first police report was made on July 12, 1989. As Khor was not called as a witness in court, no evidence was proffered as to who eventually received the purchase price from Khor and when was this done and through what means. It follows that the police have a lot of explanation to do for being more than tardy in investigating the most infamous land forgery case in Malaysia. On the part of the Penang state government, I was rather surprised that it had sought to raise the defence of limitation of time to avoid liability, especially when Lim Kit Siang himself has for many years described this case as “gross injustice”. Legally, the Penang government may be right to have done so, but morally it is hoped that the Penang government will now at least tender an apology to the Boonsoms even though the event took place under the previous administration. I can only conclude that this is one injustice that stinks to high heavens! Unless this stink is removed, it will indelibly remain a huge dent on foreign investors’ confidence in our land offices, police investigations and the administration of justice. Featured image is sourced from The Star Online. "I am horrified and shocked by this." This was the reaction of Bersih co-chair Datuk Ambiga Sreenevasan when asked to comment on the latest furore in Parliament today after it was revealed that food colouring had been used instead of chemicals in the indelible ink used to mark voters' fingers in the May 5 polls. Minister in the Prime Minister's Department Datuk Seri Shahidan Kassim, in his reply to Segambut Member of Parliament Lim Lip Eng, admitted that the ink was not what it was supposed to be. His statement was in stark contrast with the Election Commission's claim that it used silver nitrate in the ink. He also said that the absence of the chemical was the reason the ink was easily washed off. Ambiga said the EC's story on the ink kept changing and called for an independent investigation into the election body. "And did we pay RM7 million of taxpayers' money for food colouring? We need go get to the bottom of this. This revelation underscores Bersih's view that the EC leadership should resign," she added. Shahidan had also said that the expiry date of the indelible ink was four months from the date it was issued but blamed voters for purposely trying to wash off the ink as the reason why it was not permanent. "How long the ink remains depends on the individual and the efforts put in to wash it off." In a written response, Shahidan also told Parliament that RM6.9 million had been spent on the ink, and an additional RM200,000 spent on transportation, packaging and storage, bringing the total expenditure to RM7.1 million. Following the outcry after the polls, EC chairman Tan Sri Abdul Aziz Mohd Yusof had also announced the formation of a special task force to investigate the reasons why the ink could be easily washed off. - June 26, 2013. Umno Baru’s most sanctimonious hypocrite, Election Commission (EC) chairperson Abdul Aziz Mohd Yusof, has denied claims of cheating. He ignored allegations of gerrymandering, the use of money and citizenship as inducements given to illegal immigrants to vote for BN, the violent attacks on Pakatan workers, the extra ballot boxes, the spoilt votes, the blackouts, as well as the plane and busloads of foreigners transported to the peninsula to vote for BN. In other words, the EC conspired with BN to cheat in GE13. Abdul Aziz said that the ink had been tested, but then blamed the failure of the ink on “the power of Allah”. He had sanctioned the use of doctored ink, and by saying Allah was responsible - when it was him who authorised its use - it means that he is playing God. By Abdul Aziz’s will, there was massive cheating in the election process, which allowed Umno Baru to “win the election”. By claiming that it was “the power of Allah” that allowed Umno Baru to win the election, Abdul Aziz is effectively saying that he is Allah. This blasphemy will not endear him to the rural Malays and may mean that he will have to be sacrificed, to save the party. Indelible ink and the EC are not compatible. Three general elections ago, in 2004, the National Fatwa Council decided that the ink would prevent Muslims from performing their prayers. In GE12 (2008), the EC said that there were national security issues and claims of sabotage. In 2013, the lies ranged from EC workers feebly shaking the bottles to a full-blown health scare. These excuses are a familiar Umno Baru dodge. Recently, the organisers of the ‘Black 505’ rally were given the runaround, when trying to find a suitable venue for their rally. The Kuala Lumpur City Hall (DBKL) and the police could not even coordinate their lies. One said there was a wedding, whilst the other claimed there was a charity run. The police also made the outrageous claim that they would be provoked. If you must lie, do so convincingly and with a concerted effort. If Abdul Aziz said the ink was tested prior to its use, which laboratory tested it? Was there an independent laboratory analysis? Did their results match? What was the test used? Goldenchurn butter and Tabasco sauce went through a similar drama when their products were said to contain pork DNA by the Malaysian Islamic authorities. Butter is made from cow’s milk. Tabasco contains only vinegar and chillies. In which part of the manufacturing process would porcine DNA be introduced? The Chemistry Department refused to share their test results with the manufacturers, did not want to reveal their methods and did not wish the butter to be sent for independent chemical analyses. The fiasco with the indelible ink in GE13, has similar echoes of subterfuge and chicanery. Who is the manufacturer of this ink? Have they sold us defective ink? Should we demand a refund? Why is the manufacturer not defending his product? Does he not want a repeat sale? Hasn’t his reputation been irreparably tarnished? To what standard was this ink tested? Abdul Aziz said that a task force would investigate the ink’s recipe, the way it was used, its transportation and whether the hot air in the lock-up where the ink was stored, had caused a degradation of the ink. The only ‘hot air’ comes from the EC chairperson, who should not waste any more of the taxpayers’ money. The only thing left is for the senior management of the EC to resign en-masse, to restore the credibility of the EC before GE14. They have severely dented the confidence of the rakyat in Malaysian democracy. If they will not go willingly, they must be sacked. Obviously, there are three types of Umno Baru politicians and supporters - the ones who keep an undignified silence about important issues, the false prophets and those who play God. Who gave this false prophet, Abdul Rahman, the divine right to make prophecies? True prophets serve God and their flock, but Umno Baru politicians are self-serving men (and women) who are full of exaggerated self-importance. Is Abdul Rahman aware that Muhammad was the last prophet? Despite his blasphemous remarks, Abdul Rahman is not being investigated for sedition. Leaders who refuse to comment on important issues when the news break, but wade-in days or weeks later, are simply playing safe. These cowards do not want to be proven wrong, or to be seen to be wrong. They need to protect their own positions. It is not just the Pakatan coalition or the rakyat whom they fear, others within their party are looking for reasons to topple them as well. Thus, so-called leaders like BN chief Najib Abdul Razak will keep quiet about ‘mat rempit’ mobs attacking ceramah, the brutal deaths in police custody, corruption and child conversion. The rakyat is at the mercy of Umno Baru, but it is also at the mercy of the environment. Reports from Jakarta allege that the companies which contribute to the haze affecting parts of South-East Asia, are linked to the illegitimate BN government. Najib has good reason to keep quiet. Perhaps, the men who keep silent on important issues live in the feverish hope that these problems will fade away. Before I graduated in Environmental Pollution Control, I applied to the Department of Environment (DOE). The DOE replied that Malaysia does not suffer from pollution. I subsequently worked for an American company and never looked back. In Perak, the oil-palm industry - which is responsible for the haze originating from Sumatra - has production facilities and processes which are polluting the waterways of Perak. The livelihood of the villagers is affected. Fish and crustacea like udang galah die. The income from tourism is at risk. The Perak government closes one eye and panders to the industry, as rural voters are only useful to BN in the weeks before an election. What goes around comes around. Umno Baru likes to invoke God. So, is the current pollution crisis a divine intervention? Or is it caused by Umno Baru’s policies and failure to enforce strict environmental pollution controls?